Remittances sent by migrant workers represent one of the largest cash flow into developing countries. This study examines the relationship between remittances and the changing lifestyles among Indonesian overseas workers’ families in their hometowns. Using descriptive research methods, I interviewed 53 relatives of migrants in Indonesia. The results revealed that remittances from migrant workers strongly influenced their family’s lives in their hometowns. As the family’s financial situation improved, their living paradigm also changed in various ways. However, there was a contradiction between the typical worker’s motive, which was to fulfill basic needs in his hometown, and the consumer lifestyle they practiced as reflected in their buying of various items for the exchange value rather than the use value. Thus, the money they earned during their overseas employment was not systematically allocated as long-term productive asset. Instead, they mostly spent the money to achieve symbolic status while showing off their success as overseas migrant workers through engagement in the consumer culture. The behavior and lifestyle of families also changed when one member became a migrant worker. Before having a migrant worker as a family member, a family may live in poverty. When the migrant worker comes home from abroad, the whole family’s lifestyle becomes more consumption-oriented and glamorous. Families of migrant workers, even those in rural areas, are familiar with online shopping, various beauty and cosmetic products, health products, and other consumables. Thus, online sellers often benefit from the consumer behavior of migrant workers. I want to acknowledge the efforts of the Dean of the Faculty of Social and Political Sciences, Universitas Airlangga, for giving permission of this research and I want to thank the participants who agreed to participate in the study. The author declare no conflict of interest. Abdih, Y., Cha, A., Chami, R., & Ebeke, C. (2012). Remittances channel and fiscal impact in the Middle East, North Africa, and Central Asia. Remittances channel and fiscal impact in the Middle East, North Africa, and Central Asia. Resource document. https://www.imf.org/external/pubs/ft/wp/2012/wp12104.pdf. Accessed 25 June 2017. Ariadi, S., Saud, M., & Ashfaq, A. (2018). 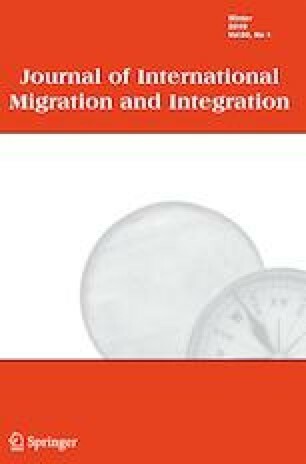 International Journal of Migration & Integration. https://doi.org/10.1007/s12134-018-0632-7ertswblbps. Bank Indonesia. (2015). Laporan Tahunan Perekonomian Indonesia. Resource document. http://www.bi.go.id/id/publikasi/laporan-tahunan/perekonomian/Pages/LPI_2015.aspx. Accessed 25 June 2017. Barajas, A., Chami, R., Fullenkamp, C., Gapen, M., & Montiel, P. (2009). Do workers’ remittances promote economic growth? IMF Working Paper 153. Resource document. https://www.imf.org/en/Publications/WP/Issues/2016/12/31/Do-Workers-Remittances-Promote-Economic-Growth-23108. Accessed 26 June 2017. Catrinescu, N., León-Ledesma, M., Piracha, M. & Quillin, B. (2006). Remittances, institutions and economic growth. Resource document. http://ftp.iza.org/dp2139.pdf. Accessed 26 June 2017. Connel, J. (1980). Remittances and rural development: Migration, dependency and inequality in the South Pacific. Resource document. https://trove.nla.gov.au/version/11944354. Accessed 26 June 2017. Giuliano, P., & Ruiz-Arranz, M. (2005). Remittances, financial development, and growth. Resource document. https://www.imf.org/external/pubs/ft/wp/2005/wp05234.pdf. Accessed 29 June 2017. IMF. (2005). Two current issues facing developing countries. In World economic outlook: Globalization and external imbalances. Resource document. http://www.imf.org/external/pubs/ft/weo/2005/01/. Accessed 26 June 2017. Kim, N. (2007). The impact of remittances on labour supply: The case of Jamaica. Resource document.http://documents.worldbank.org/curated/en/926051468044132562/pdf/wps4120.pdf. Accessed 26 June 2017. Ramirez, M. D., & Sharma, H. (2008). Remittances and growth in Latin America: A panel unit root and panel cointegration analysis. Resource document. https://economics.yale.edu/sites/default/files/files/Working-Papers/wp000/ddp0051.pdf. Accessed 26 June 2017. Sayan, S. (2006). Business cycles and workers’ remittances: How do migrant workers respond to cyclical movements of GDP at home? Resource document. https://www.imf.org/external/pubs/ft/wp/2006/wp0652.pdf. Accessed 29 June 2017. Singh, R., Haacker, M., & Lee, K. (2009). Determinants and macroeconomic impact of remittances in sub-Saharan-Africa. Resource document https://ssrn.com/abstract=1486534. Accessed 26 June 2017,. Ziesemer, T. (2006). Worker remittances and growth: The physical and human capital channels. http://www.merit.unu.edu/publications/wppdf/2006/wp2006-020.pdf. Accessed 29 June 2017.